Yasukuni Shrine is a Shinto shrine in central Tokyo that commemorates Japan’s war dead. The shrine was founded in 1869 with the purpose of enshrining those who have died in war for their country and sacrificed their lives to help build the foundation for a peaceful Japan. The Yūshūkan is a Japanese military and war museum located within Yasukuni Shrine in Chiyoda, Tokyo. The museum is maintained by the shrine, which is dedicated to the souls of soldiers who died fighting on behalf of the Emperor of Japan. The museum contains various artifacts and documents concerning Japanese war casualties and military activity from the start of the Meiji Restoration to the end of World War II. The museum was established in 1882 and describes itself as the first and oldest war and military museum in Japan. Itsukushima Shrine is a Shinto shrine on the island of Itsukushima (popularly known as Miyajima), best known for its “floating” torii gate. The shrine complex is listed as a UNESCO World Heritage Site, and the Japanese government has designated several buildings and possessions as National Treasures. 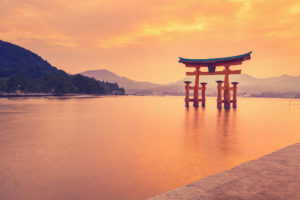 The Itsukushima shrine is one of Japan’s most popular tourist attractions. 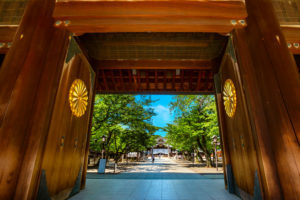 It is most famous for its dramatic gate, or torii on the outskirts of the shrine, the sacred peaks of Mount Misen, extensive forests, and its aesthetic ocean view. The Hiroshima Peace Memorial is originally the Hiroshima Prefectural Industrial Promotion Hall, and now commonly called the Genbaku Dome, Atomic Bomb Dome or A-Bomb Dome. 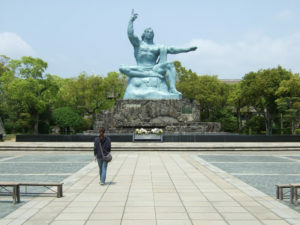 It is part of the Hiroshima Peace Memorial Park and was designated a UNESCO World Heritage Site in 1996. The ruin of the hall serves as a memorial to the people who were killed in the atomic bombing of Hiroshima on 6 August 1945. 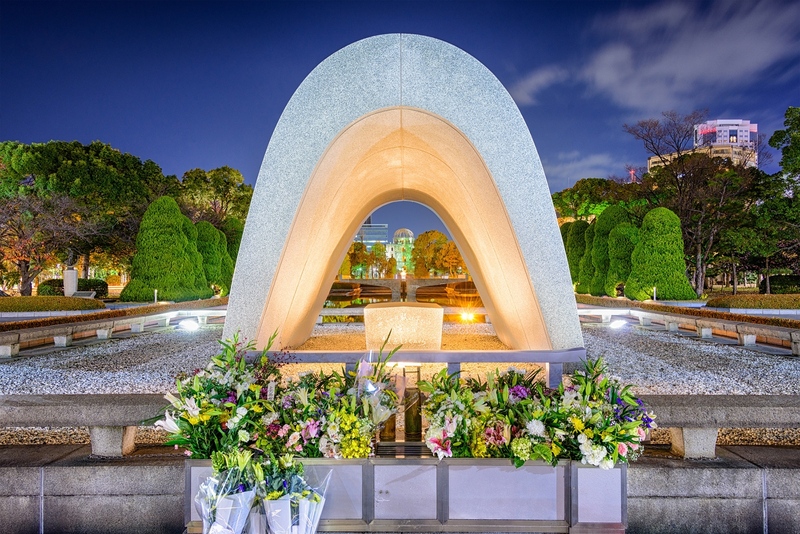 Hiroshima Peace Memorial is a memorial park in the center of Hiroshima, Japan. 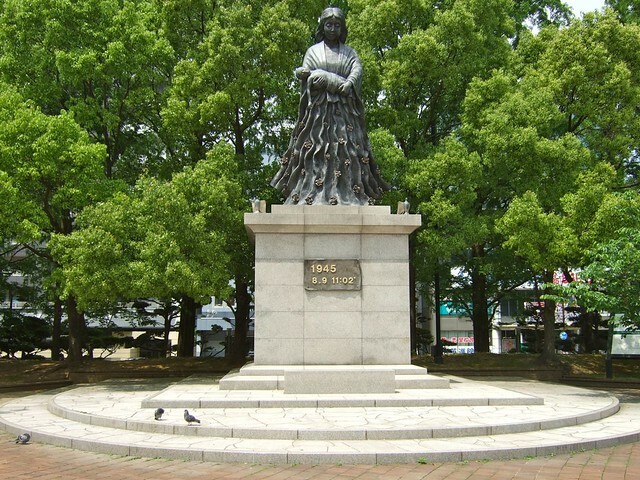 It is dedicated to the legacy of Hiroshima as the first city in the world to suffer a nuclear attack. Also to the memories of the bomb’s direct and indirect victims (of whom there may have been as many as 140,000). 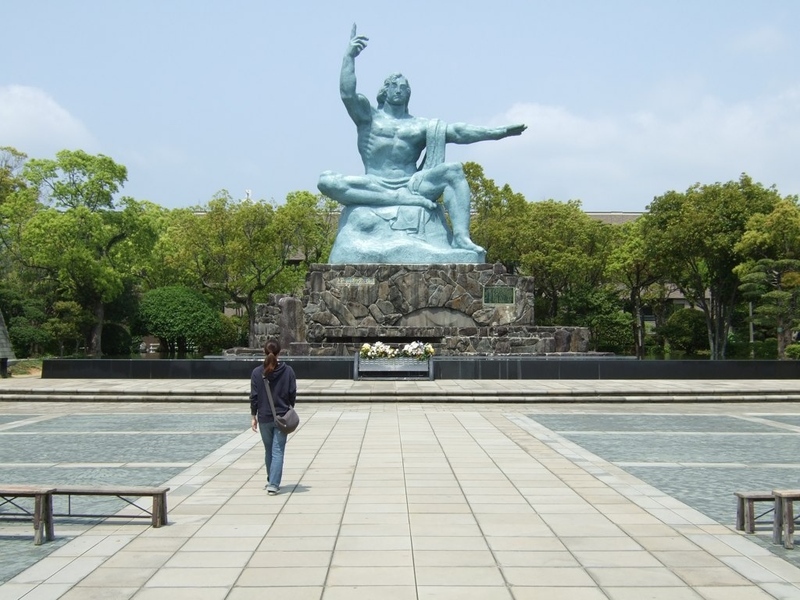 The Hiroshima Peace Memorial Park is visited by more than one million people each year. The park is there in memory of the victims of the nuclear attack on August 6, 1945. On August 6, 1945, the US dropped an atomic bomb on Hiroshima Japan. The Hiroshima Peace Memorial Park was planned and designed by the Japanese Architect Kenzō Tange at Tange Lab. The Nagasaki Peace Park is a tranquil space that commemorates the atomic bombing of Nagasaki on August 9, 1945, which destroyed a significant portion of the city and killed ten thousands of inhabitants. The complex is comprised of two parks and a memorial museum. The Nagasaki Atomic Bomb Museum is in the city of Nagasaki, Japan. The museum is a remembrance to the atomic bombing of Nagasaki by the United States of America 9 August 1945 at 11:02:35 am. 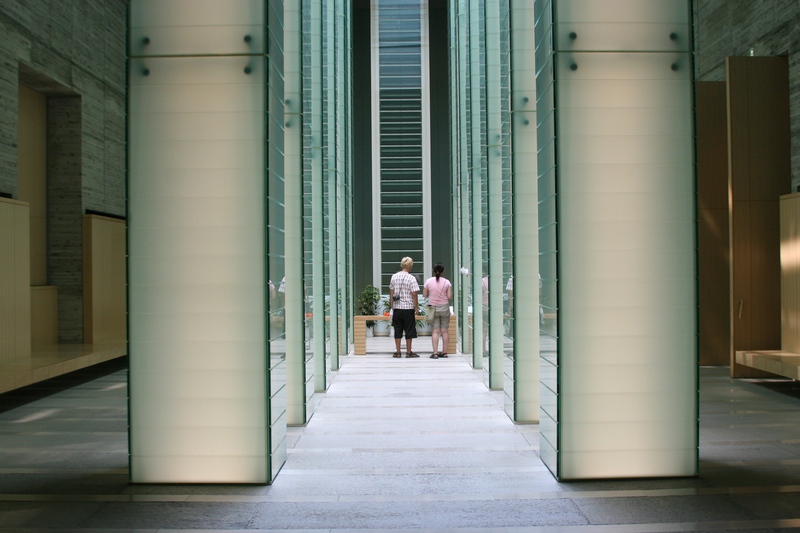 Next to the museum is the Nagasaki National Peace Memorial Hall for the Atomic Bomb Victims, built in 2003. The bombing marked a new era in war, making Nagasaki a symbolic location for a memorial. 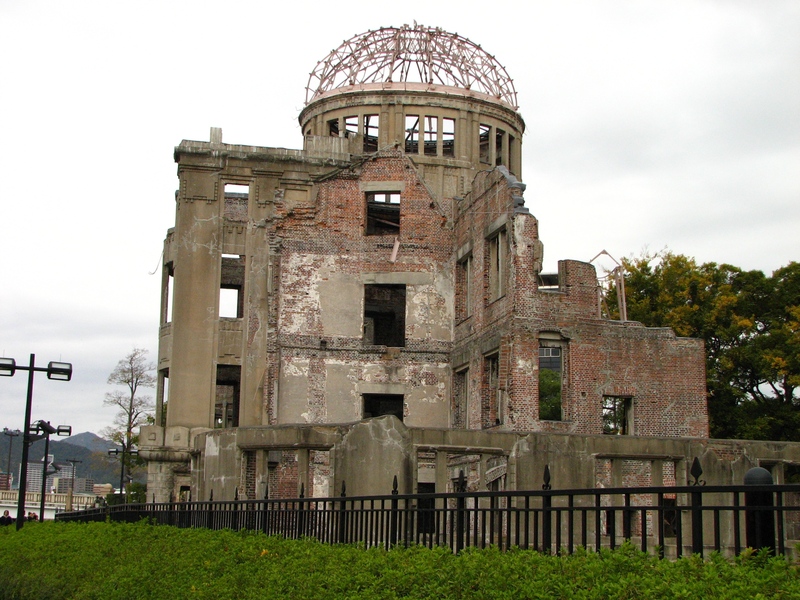 The counterpart in Hiroshima is the Hiroshima Peace Memorial Museum. These locations symbolize the nuclear age. They remind visitors of the vast destruction and indiscriminate death caused by nuclear weapons and signify a commitment to peace. 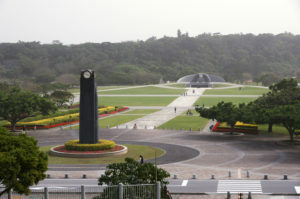 The Peace Memorial Museum, Peace Prayer Park, and the Cornerstone of Peace were established in 1975 on Mabuni Hill, next to the “Suicide Cliffs” where the Battle of Okinawa ended. The Cornerstone of Peace is a semi-circular avenue of stones engraved with the names of all the dead from the Battle of Okinawa, organized by nationality (or by ethnicity for Chinese, Taiwanese, Koreans, and Okinawans). The Memorial Path includes 32 memorial monuments as well as the place where Lieutenant General Ushima committed suicide. There are a number of separate memorials including the Okinawa Peace Hall, a large tower erected in 1978, and individual monuments for each Prefecture of Japan. 13:00 Lunch time, eel and oyster are famous!